Even though this HUMID weather can cause straight hair to go flat, and curly hair to expand and frizz as the day progresses… there are several things you can do to help your hair! 1. Hydrate beforehand…If your vacation takes you to tropical parts this summer, get ahead of the hair curve by prepping for the climate change before you touch down. Do a conditioning treatment and drink lots of water before you go. 2. Keep it dirty…sweat-inducing weather may send you straight to the shower. In humid weather, it’s easier to style your hair when it has a little natural oil in it, so don’t wash your hair the day of an event. 3. 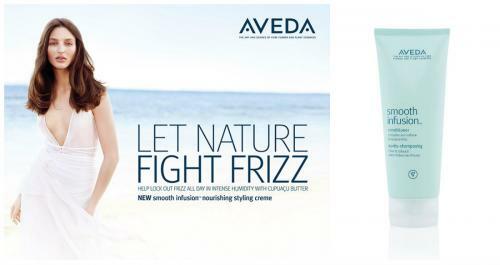 Pick the right products… When styling hair, keep it moisturized by reaching for the Aveda product best for you and your hair, we can help!!!! 4. Don’t overdo it…Hair doesn’t get more glam with the more product used. In fact, the opposite is true. Be careful of applying too much product to the hair, this can weigh down fine hair and make it limp.